Located on the edge of this picturesque Wealden village, Rolvenden FC's existing football pitch was chosen as the site for new a housing development. Planning consent was granted on the condition that the football club was provided with a high quality replacement venue. This was found on a piece of farmland backing onto the existing cricket field and in the same ownership. The land owner, The Hole Park Estate, saw this as an opportunity not only to provide a more convenient venue for the football club, but also to provide a grass playing surface built to cope with football on the heavy clay soil that characterises the Weald of Kent. 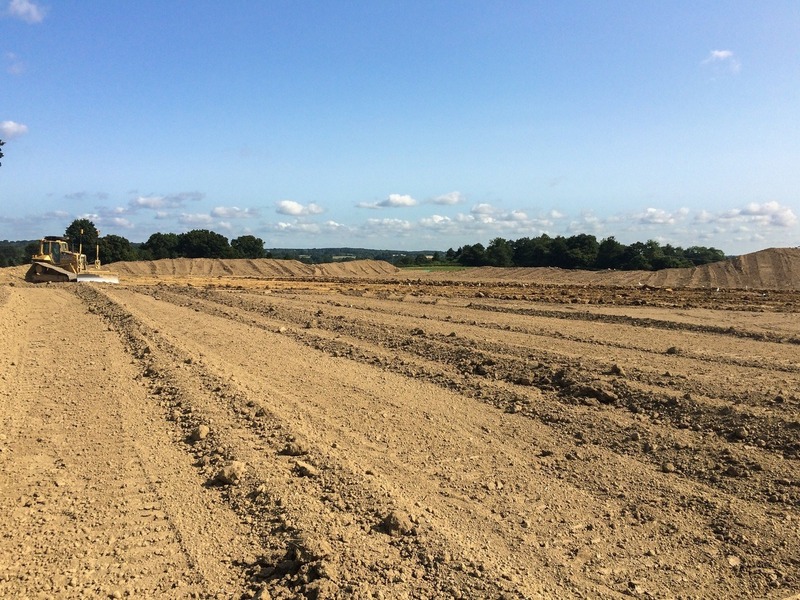 Having commissioned a level survey and preliminary report the landowner then approached Bourne Sport for a detailed design. The design included an element of cut and fill to meet Sport England criteria with regard to slopes, and a full intensive drainage scheme consisting of piped laterals at 10m centres and 50mm gravel bands spaced 1m apart across the laterals to take the water off the surface and into the drains. The secondary drainage was carried out after the area was levelled and seeded with our Football/Rugby Barenbrug seed and after a 1,000 tonne of coarse sports sand had been ameliorated to help break up the clay. 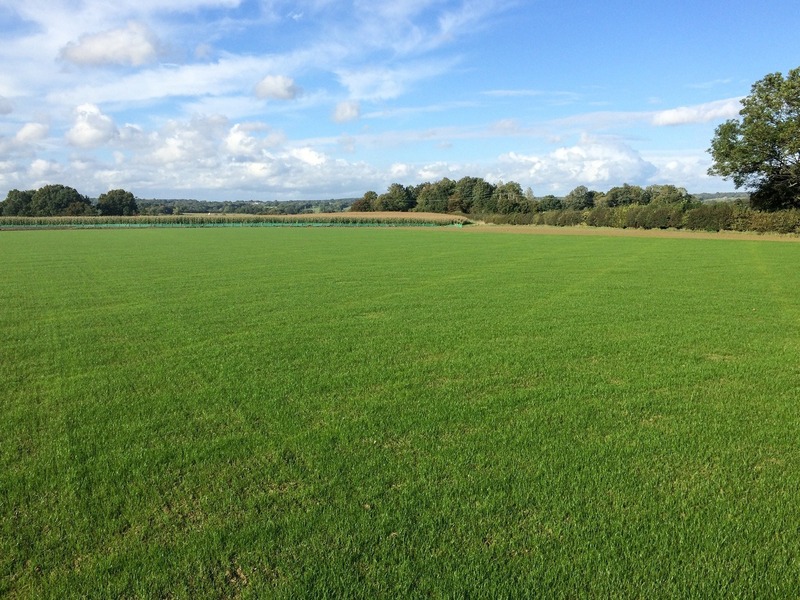 Rolvenden FC now have a state of the art free draining grass surface which will cope with the worst of the winter weather and avoid cancellations. "Bourne Sport delivered a fantastic playing surface for the club, that was durable and free draining as promised. They were professional throughout the job and I would highly recommend them for this type of project."